John is an effective and pragmatic energy attorney who represents clients on transactional matters in the upstream oil and gas, downstream energy and petrochemical EPC, and power production EPC industries. He has extensive experience drafting and negotiating all manner of engineering and construction related agreements through the EPC project cycle, including non-disclosure, technology disclosure and licensing, joint pursuit and joint venture, turnkey EPC, project finance accommodation, and supply chain contracts for all sizes of EPC energy projects. John also advises his clients on EPC licensing, bonding, credit, and insurance facilities, as well as upstream oil and gas contracts, including lease agreements, purchase and sale agreements, joint operating agreements, drilling contracts, master service, charter and supply agreements, and decommissioning service agreements. 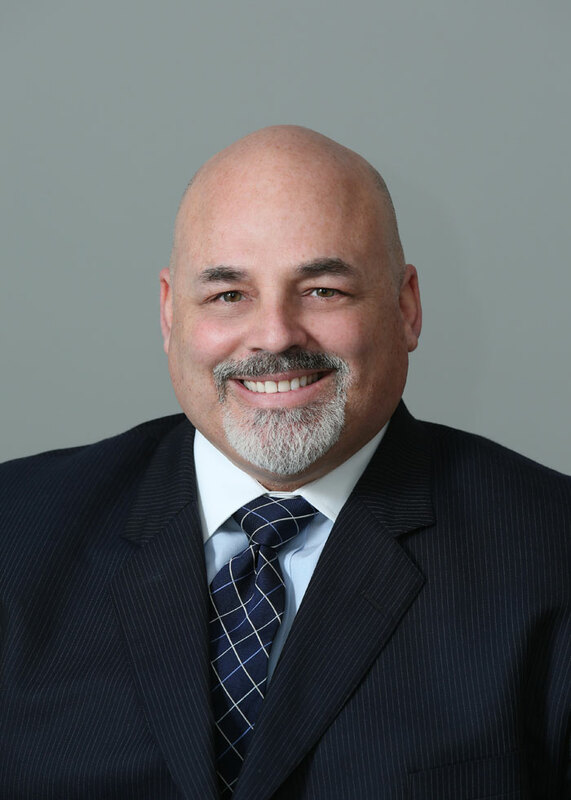 In addition to his transactional practice, John can assist clients with a variety of disputes and claims within the energy industry, and his litigation experience extends to all types of state, bankruptcy, and federal procedure and AAA arbitration. His experience includes mediation, arbitration, and trial and appellate litigation involving oil and gas title, rights of use, joint interests, operations, casualty claims, engineering and construction licensing and professional compliance, supply chain, consortium, association, and joint venture disputes, as well as oil and gas and EPC regulatory matters. Prior to joining Looper Goodwine, John served as Board Director, Sr. Vice President and Chief Administrative Officer, Chief Compliance Officer, and General Counsel of IHI E&C International Corporation where as a corporate executive he managed the company’s business administration including its Legal, HR, IT, Facilities, Communications, and Commercial/Risk Departments. In his role as General Counsel he managed EPC contract risk, negotiations, corporate and project insurance, domestic and international company qualification and licensing, and the administration of all contracts as well as the company’s domestic and foreign compliance program. Served as Secretary and subsequently as a Director of an international engineering and construction company’s Board of Directors, and managed domestic and international contractor and engineering licensing, corporate business qualification, and corporate and project insurance programs. Dominion Cove Point LNG Plant, 2012-2018: acted as lead counsel for partner in joint venture performing front-end engineering and design (FEED) and engineering, procurement, and construction (EPC) services for only the second large-scale LNG export terminal constructed in the Lower 48 US states, an approximately $4 billion EPC development of a liquefied natural gas export facility located on the Chesapeake Bay in Lusby, Maryland, with capacity of an estimated (5.25) five million 250 thousand tonnes per annum producing in 2018. Elba Liquefaction LNG Project, 2016-2018: purchased and implemented a multi-million-dollar Contractor Controlled Insurance Program (CCIP), and managed EPC legal services for approximately $2 billion upgrade of existing Elba Island LNG gasification terminal near Savannah, Georgia to place 10 Movable Modular Liquefaction System (MMLS) trains that would have a production capacity of 2.5 million tons of LNG per year, currently scheduled to be placed in service 2018 – 2019. Pemex Salina Cruz Diesel Refinery Upgrade, 2014-2016: acted as lead counsel of three-party international association comprised of US and Mexican corporations under project management consulting (PMC) contract with Pemex to manage ultra-low sulfur diesel project at Salina Cruz refinery in Oaxaca, Mexico. Sundrop Fuels Gas to Gasoline Plant, 2012-2014: acted as lead counsel on FEED and EPC contracts for Sundrop Fuels’ inaugural gas to gasoline plant project in Louisiana, which would have an annual capacity to produce about 60 million gallons of finished gasoline from natural gas. As Sr. Counsel of an International Fortune 500 electrical services provider, served as legal support for power generation, distribution, and transmission, pipeline construction, directional drilling, and telecommunications construction services. Primarily responsible for emerging power generation division, including EPC contracts, major equipment procurement, business development agreements, and corporate matters. Lead counsel for Petroplex Multi-Modal Bulk Liquid Terminal during preliminary development of $600 million multi-modal bulk liquid terminal in St. James Parish, Louisiana. Lead counsel for Con Edison Solar Power Plant- turnkey EPC of a photovoltaic power generation facility totaling approximately 40 MW located in California in 2012. Lead counsel for GCL Solar Alpaugh Power Plant- turnkey EPC of 70MW photovoltaic power producing installation in California in 2012. Lead counsel for Samsung Atwell Island Power Plant- turnkey EPC of 20MW photovoltaic power producing installation in California in 2011-2012. Lead counsel for Lincoln NJ Oak Power Plant- turnkey EPC of 10MW photovoltaic power producing installation in New Jersey in 2011. Lead counsel for Eurus Avenal Power Plants- turnkey EPC of 45MW photovoltaic power producing installation in California in 2010. Lead counsel for Denver International Airport (DIA) III Power Plant- turnkey EPC of largest customer-sited solar photovoltaic installation in Colorado in 2010. Senior Counsel serving as primary legal support for multi-billion dollar drilling, construction, production, and decommissioning operations onshore in Texas and offshore Gulf of Mexico from 2006 – 2009, including all manner of development, joint operating, farm-out, non consent, drilling, charter, production handling, services and supply, P&A, and related agreements, regulatory filings, and disputes. Lead counsel for Geauxpher Deepwater Field during competitive acquisition, exploration, and construction of two-well deepwater subsea development in 2009, more than 150 miles from the Louisiana coast. Provided operations support for Bass Lite Deepwater Field during exploration, development, and construction phases of a two-well field in 6,750 foot deepwater Gulf of Mexico, one of the gulf’s deepest subsea developments in 2008. Mariner Energy, Inc. et al v. Devon Energy Production Co., L.P., 2008: Senior Counsel directed litigation of successful Southern District of Texas trial and Fifth Circuit appellate proceedings distinguishing between approximately $5 million of successor plugging and abandonment versus $200 million of storm damage liability. Keith Connell, Inc. v. Old Dixie Produce & Packaging Inc. et al, 2005: Lead attorney representing creditor who sought and obtained temporary restraining order in federal court to freeze assets of debtor company and subsequently as creditor’s attorney in bankruptcy proceedings. Concert Capital, et al v. Dunhill Resources I, 2003: Associate attorney supported federal litigation and US Marshal’s seizure and sale of multiple oil and gas assets on various blocks of the Outer Continental Shelf to collect approximately $135 million debt. Jesco Construction Corp v. NationsBank Corp, et al, 2001- Associate attorney drafted and supported multiple appellate briefs to the Louisiana Supreme Court on certified question from Fifth Circuit federal appellate court on application of Louisiana Credit Agreement Act. Judicial Extern to the Honorable G. Thomas Porteous, United States District Judge of the United States District Court for the Eastern District of Louisiana, 1999-2001.